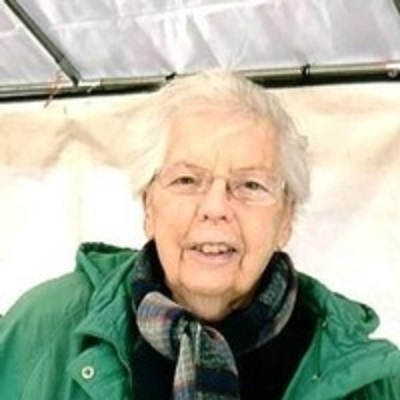 Mary L. Weeks, 90, of Monticello, IL passed away at her residence on March 18, 2019. Mary was born December 31, 1928 in Macomb, IL, the daughter of Raymond and Esther (Van Ormer) Burke. She married Robert Oscar Weeks on January 24, 1953 in Springfield, IL. He passed away January 23, 2008. Mary is survived by her daughter, Gloria (Richard) Helgeson of Ballwin, MO; grandchildren, Troy (Elle) Helgeson, Amy (Steve) Bopp, Scott (Amy) Helgeson and Nathan (Tiffany) Helgeson; great-grandchildren, Cole Helgeson, Logan Bopp, Eli Bopp, Avery Helgeson, Oscar Helgeson; and a brother Patrick (June) Burke of Bloomington, IL. She was preceded in death by her parents, husband, 2 brothers and 3 sisters. Mary retired as a manager for AT&T Operator Services. She was a member of St. Philomena Catholic Church in Monticello, IL and her interests included gardening, investments, and sports. Mary had a great devotion to her faith, family, and friends. Visitation will be held from 9:00-10:00 a.m., Saturday, March 23, 2019 at St. Philomena Catholic Church in Monticello, IL. Funeral Mass will be at 10:00 a.m., Saturday, March 23, 2019 at St. Philomena Catholic Church with Fr. Bruce Lopez officiating. Interment will be held in Monticello Township Cemetery. Memorial contributions may be made to St. Philomena Catholic Church. Condolences may be shared with the family at www.mackey-wrightfuneralhome.com.